important) steps into the kitchen. linen cloth on my lap and the wine list in my hand. own, I hope you are all game for the ride. role in my life, to the universe at large. love to “see” you there as well. back. I’ll have a new one up every week. A tasty stir-fry! So scrumptious looking. Congrats on being a contributor to Yahoo! How awesome is that? 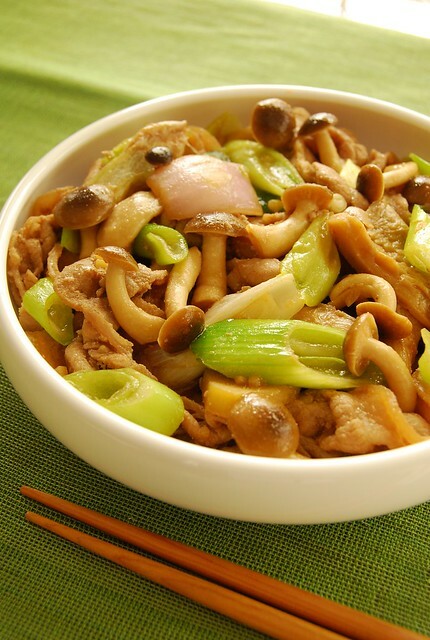 I love this Asian Style Pork Stir Fry! Perfect for any day of the week. Thanks for sharing, Joey! I never wear an apron either… Congrats on your new gig! Delicious-looking! Congrats on your new venture! Thank you for sharing this recipe. Actually, I made this yesterday and this dish is really easy and quick to cook. The taste of this is also fabulous! I will definitely make this again when I have time. Anyway, please keep on sharing!